Not all brands of primers function the same in the primer blanks. 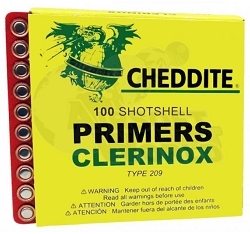 We carry only the most dependable primers. Loud as a .22 cal. round. 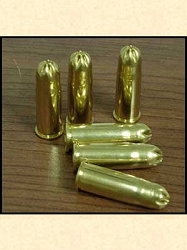 A box/bag of .45 caliber blanks with Full Load and smoke. Sold in packs of 50. 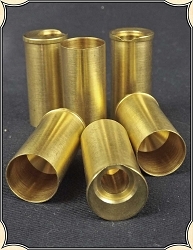 An inexpensive alternative to the shotgun sleeve. 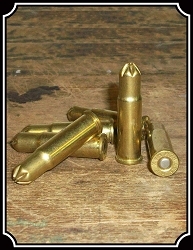 Loud as a live round .12 gauge - pack of six. 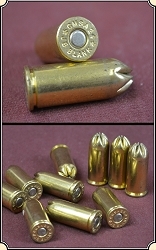 The unique design of this blank allows it to function in five different calibers of both pistols and rifles. 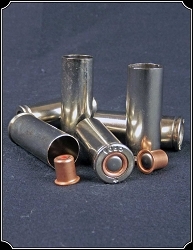 .38-40, 44-40, .45 colt, .44 mag. 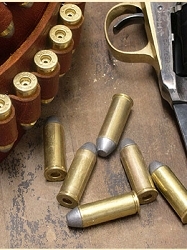 & .44 spec. 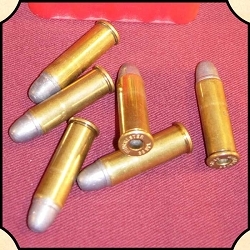 Perfect for your .38 cal revolver, is a Full Load, with smoke sold in packages of 50. 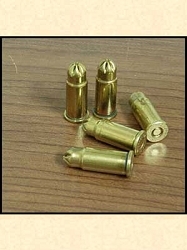 For .38 cal and will work in your 9 mm Full Load, with smoke. per 50. Ideal for performances. 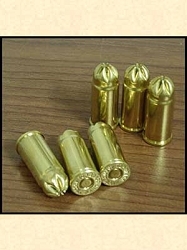 This is a genuine .45/70 brass case with a real slug. 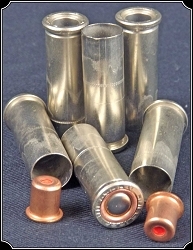 The difference from a "live" round is this has no powder and no primer in the primer pocket. 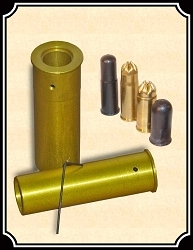 Need to add a little extra something to your cartridge belt? 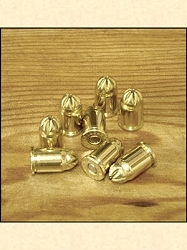 Here is a six pack of Belt dummies in .38 cal. 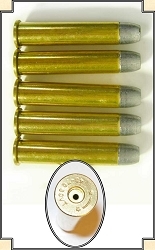 Belt dummies .45 cal Pack of 6. 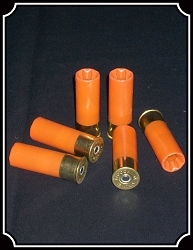 Get the look and feel of cartridges in your belt with these .45 Cal belt Dummies. They have no primer but are real.